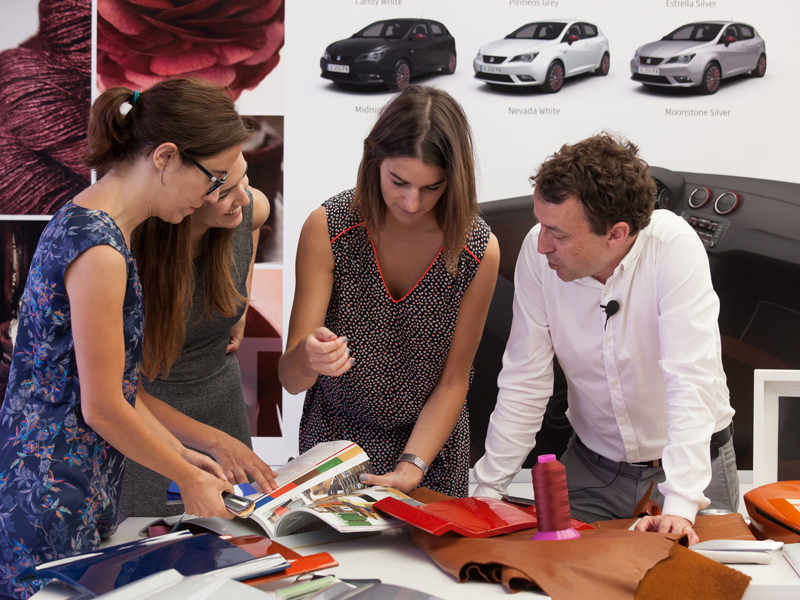 Even though the Pantone colour chart already features thousands of colours, SEAT has a Color&Trim team that focuses exclusively on creating new shades that will feature on the cars of the future. The team relies heavily on their sense of sight because they have to ensure that the colours they create will firmly seduce future customers into making a purchase. "Our work starts three years before a car is produced with a certain colour series. First we take a close look at the trends that will have an impact on the future and then we make different formulations and perform tests when we decide which colour range we're going to focus on" explains Jordi Font, who is in charge of SEAT's Color&Trim department. It's a long process and nothing is left to chance. The department prepares over 100 formulations prior to deciding whether a colour is suitable for a production run. Testing on a car begins after several months of work: "we use over 1,000 litres of paint to see the results of the colour on the car, which is followed by testing to analyse how it reflects under sunlight as well as in the shade". Every car is given seven coats of paint to give it an even finish and to ensure it will withstand all kinds of weather conditions. When speaking about future trends, Font points out that "until now spot colours have been widely used, but the trends point towards cars having more sophisticated shades, with more colour effects. That's where we're heading now", he says. The Color&Trim team has an intimate link with the sense of sight: "We carry out our work in the realm of senses because we design emotions. It's true that colours already exist, but we give them character and a unique personality", adds Font about a profession whose goal is to seduce at first glance.